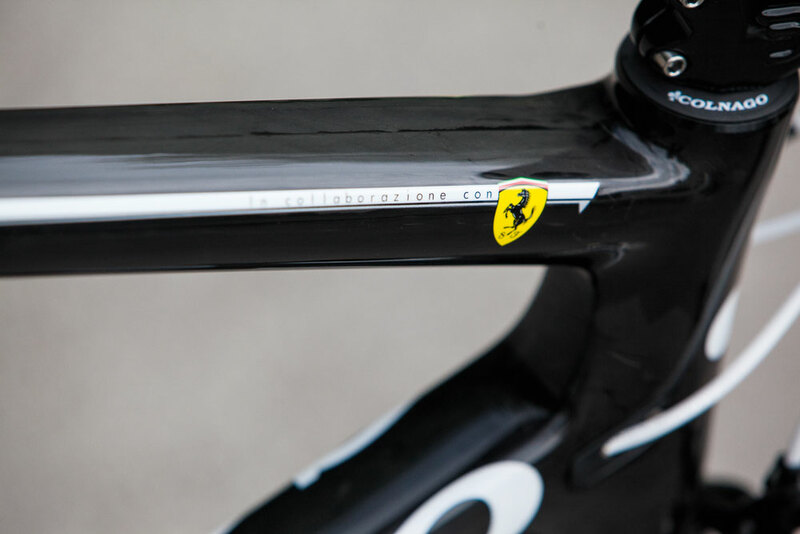 Colnago’s long association with one of the world’s most recognisable brands, Ferrari, means that the prancing horse usually adorning the front of sports cars now sits in prime place on the Colnago top tube, alongside the inscription ‘in collaboration with’. You might expect Ferrari’s collaboration on Colnago’s aero bike to be from the ground up, or at least involve the use of a wind tunnel, but Cambiago obviously feels this is unnecessary; after all, they already know how to make some pretty well respected bikes. So Ferrari’s input is limited to helping select the carbon fibre used to create the aerodynamic tube profiles for this monocoque frame. Elsewhere, Pierre Rolland is fortunate enough to get the very latest Campagnolo Super Record groupset. 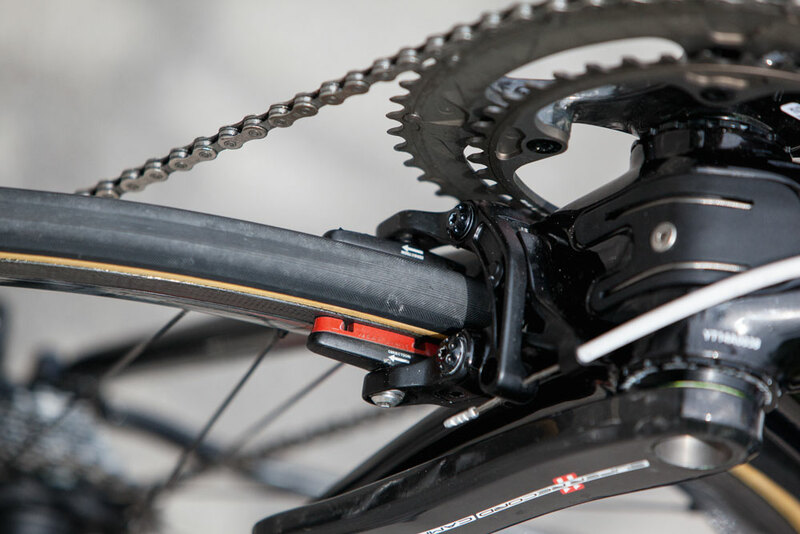 The 2015 version has the four-arm carbon crank and more heavily sculpted carbon plates on the front and rear mechs. 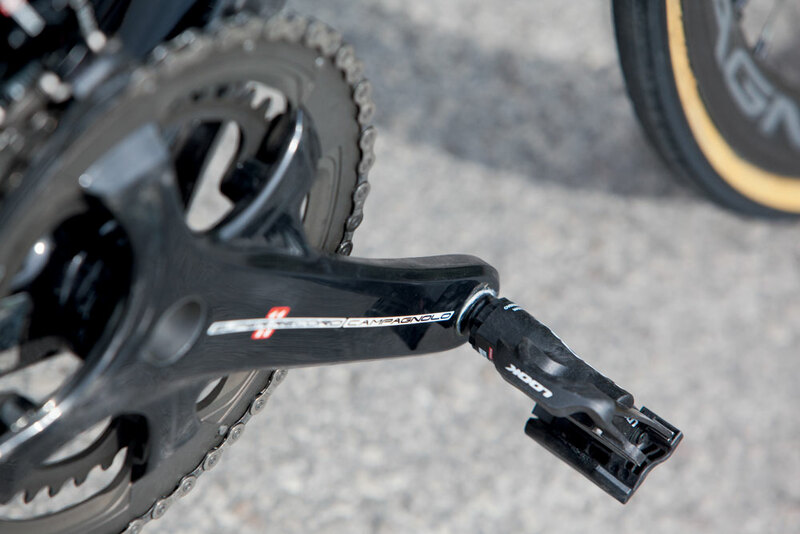 When it comes to brakes, Colnago has adopted Shimano’s direct mount for the V1-r. 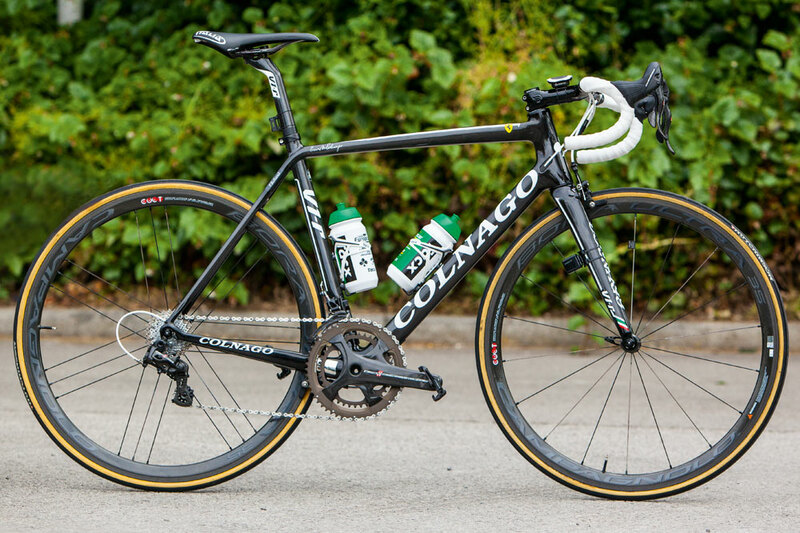 This presents a small problem to Campag users, so Colnago also offers its own branded version and that’s what Europcar have gone with. Colnago’s collaboration with Ferrari seems to be one that’s more about brand association than any real technical advantage. The exotic car manufacturer’s only input is to select the carbon fibre. Shimano’s direct-mount brakes don’t tie in with the Campagnolo groupset — so Colnago made its own to get round any potential sponsorship issues. Ferrari’s prancing horse adorns the top tube to mark a long association between the two iconic Italian brands. 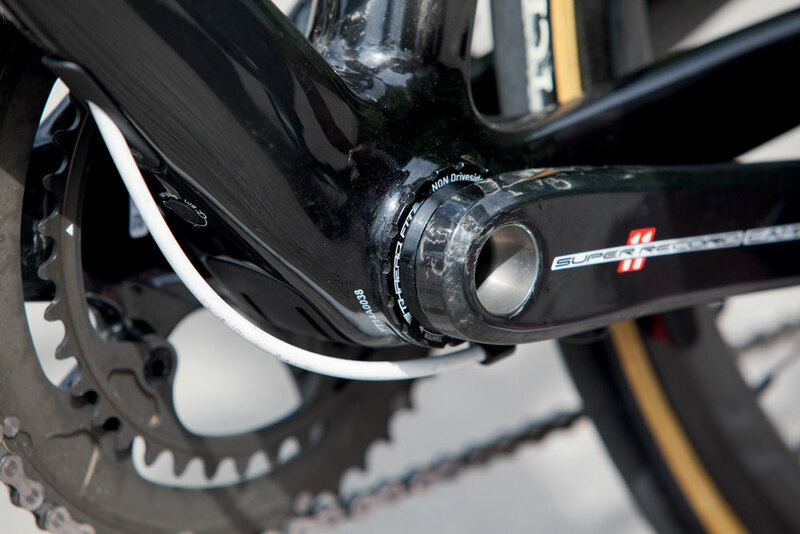 2015 Campagnolo Super Record features a four-arm carbon-fibre crankset. Rolland keeps his pedalling patriotic with Look Keo Blades.